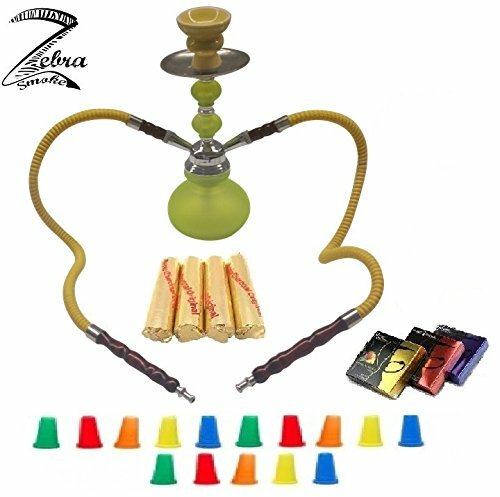 Zebra Smoke Series: 11'' 2 Hose Pumpkin Echo (X1) Hookah Complete Set Combo KIT w/ Instant Charcoal (Like Three Kings Charcoal), Zebra smoke Joker series(like Blue Mist), and Hookah Mouth Tips (YELLOW) by Zebra Smoke at Serious Jones. Hurry! Limited time offer. Offer valid only while supplies last.